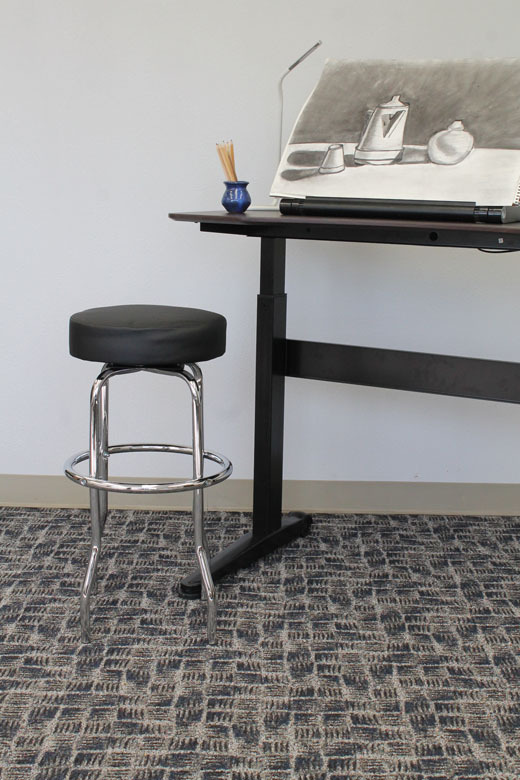 This simplistic and elegant stool is beautifully upholstered with ultra soft, durable, and breathable black CaressoftPlus, keeping you comfortable through extended hours of work. 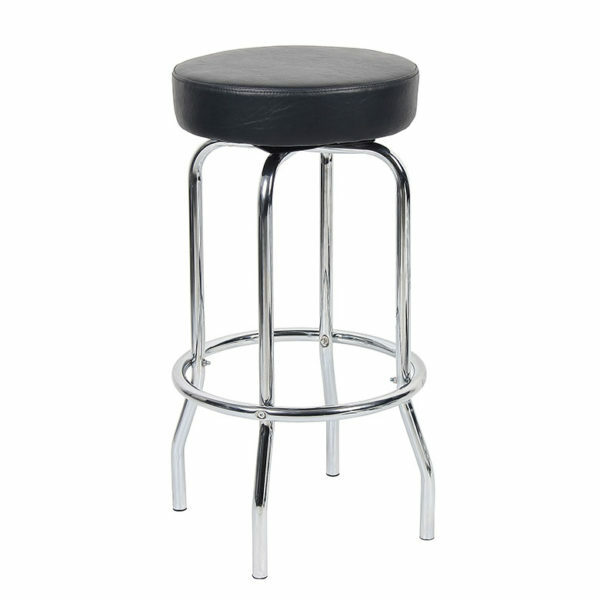 It has a plush, molded foam seat for enhanced comfort and durability. It also comes with a metal chrome frame with a footring for added leg and foot support. The seat rests on four sturdy metal chrome legs.This is a simplistic and stylish stool that can be utilized both in an office, and in a living space.